Oral Dean Miller passed away peacefully with his wife at his side early Tuesday morning, December 12, 2017 at the age of 89. 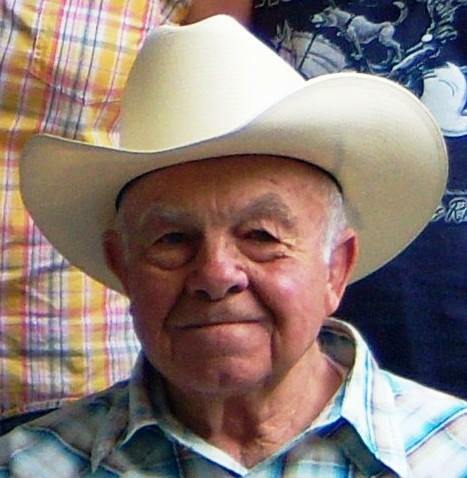 Oral Dean Miller, a loving family man, was born on August 7, 1928 to Harry and Daisy (Lancaster) Miller in Osage, Iowa. He lettered in football and wrestling during his high school years participating with the Osage Devils. On February 11, 1950, while roller skating at the local rink in Osage, Oral met Joan Perau who lived in neighboring St. Ansgar, IA. He popped that all important “Will you marry me?” question three months later and on September 3, 1950 they were married. Two months later, in November, Oral left to serve in the Korean War where he attained the office of Sergeant First Class. 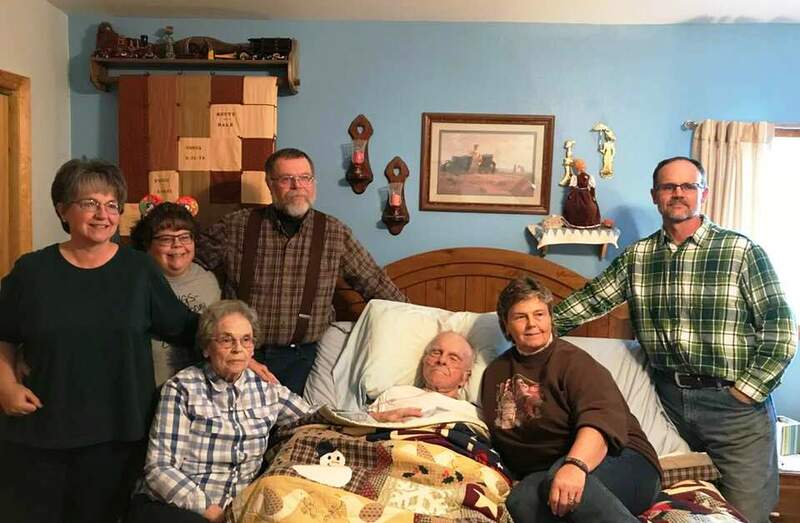 He was discharged from the Army in August of 1952 and came home where he and Joan raised four children while working on farms in Iowa and Minnesota. They moved to Douglas, Wyoming in October, 1962 then on to Casper, Wyoming in 1963 where Oral worked ranching and farming for Harold Shreve on his ranch on the Kendrick Project west of Casper off Poison Spider Road and where their 5th child arrived. In 1973, Oral joined Shreve in operating the Union 76 Oil bulk gas business and delivered bulk gas to farmers and ranchers in Natrona County and surrounding counties until retirement in 1995. Since his arrival in Casper, Oral was a member of Our Saviour’s Lutheran Church and The American Legion. After retirement, Oral especially enjoyed gardening. He always made time for his family and was an excellent role model of how to live as a Christian to all who knew him. Oral was heard to say his greatest achievement in life was his family. Oral was preceded in death by his parents, two brothers, two sisters and, most regrettably, his grandson Scott A. Miller who was killed in 2007 during Operation Iraqi Freedom while serving in the Army. He is survived by his wife of 67 years, one sister, Cleo Mitchell still in Osage, IA, children Dave Miller (Nancy) of Clark, Wyoming, Nancy Waters (Ken), Betty Birkle (Dale), Bob Miller (Susi) and Cyndi Davis (Roy) all of Casper, as well as nine grandchildren, 15 great-grandchildren and many nieces and nephews. Visitation/viewing will be at Bustard’s Funeral Home on Monday evening, December 18, 2017 from 6:00-8:00. A Memorial Service will be held for Oral at 12:00 noon on Wednesday, December 20, 2017 at Our Saviour’s Lutheran Church, 318 S. Durbin, with a reception immediately following in the church fellowship hall and interment at the Oregon Trail Veterans’ Cemetery, Evansville, at 3:00p.m. Memorials may be made to the Scott Alan Miller Memorial Scholarship Fund c/o Casper College Foundation or Disabled American Veterans, 219 Ames Avenue, Cheyenne, WY 82007. I like the imagery of Jesus as the rock that supports us. Many people have referred to Dad as a rock but I take that one step further. Yes, Dad was a strong, dependable man that we leaned on but I see him as the “foundation” of our family and Jesus as the “rock or bedrock” on which that foundation stood. Like a foundation, Dad was solid, simple and rather quiet. His ‘success’ as the foundation of our family was due to the fact that Jesus was his bedrock, his unfailing support. Dad was a quiet, humble and selfless man. He was always willing to listen and always gave his full attention. He thought before he spoke, always considering the situation first. Then he offered his thoughts and let you make your own decisions and conclusions. 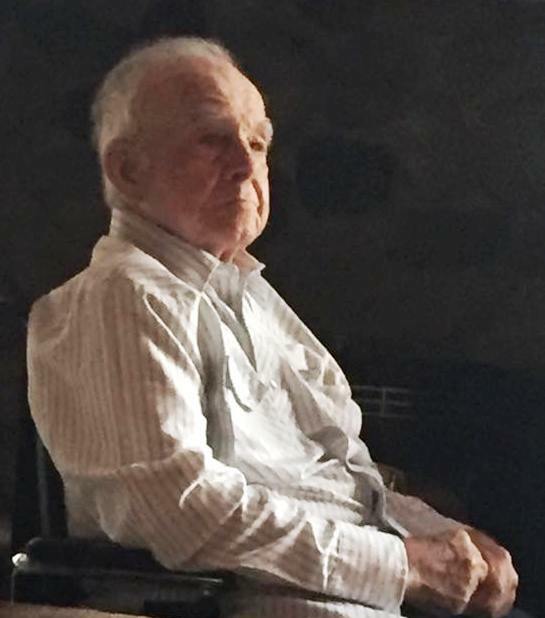 Dad didn’t have to talk all the time to communicate; he simply lived his life as he believed he should and by just observing him live his daily life, people would be able to know his faith, his goodness, his morals, his work ethics–they would come to know Dad and they were honored to know him. Dad’s life was greatly influenced by military service. He served in the Army on the front lines during the Korean War. Dad’s maternal grandparents were one of the original Gold Star Families. In fact, his grandmother was one of the original Gold Star Mothers sent to France by the government following World War I to view her son’s grave. Dad’s two older brothers served in the Army & Navy during World War II, one being a German prisoner of war, but, happily, both survived and arrived home on the same day. Dad’s grandson, Bob’s son Scott, proudly and eagerly joined the Army right out of high school—sadly he was killed during Operation Iraqi Freedom which also killed a portion of Dad’s heart. Although Dad never talked to us about his experiences in the war, it was evident that he was proud of his service to our country. Dad considered others before he considered himself. He was a respectful and respected man. He also respected animals and the earth. Dad was a farmer at heart. In his lifetime, he worked with and raised everything from turkeys, goats, chickens, donkeys, pigs, cows, sheep, horses, cats & dogs to oats, corn, hay, vegetable gardens and flower gardens. He passed that love of all things agriculture on to his children and grandchildren, many who are raising the same things right now! There is a little-known fact about what helped Dad be the successful farmer he was—Dad could yodel!! We kids remember him working out in the barn yodeling at the top of his lungs, if that is how one yodels!! That ability he also passed on to his oldest son Dave! Dad’s life as a farmer involved endless hard work. My brothers, in particular, remember learning from and working alongside Dad taking care of the animals, operating and mechanic-ing the farm equipment, harvesting crops and, their all-time favorite I’m sure, loading the huge trucks full of hay bales by hand and a hay hook!! Even though Dad was raised in the era where women did all the housework (and that’s what we three sisters were usually doing–cleaning house, cooking, baking, doing laundry & ironing), Dad still helped Mom with these responsibilities too. And in return, Mom also helped Dad with the milking, farm chores and raising a garden, as did we sisters; except the milking cows part—I don’t remember that we ever had to milk the cows!!! Dad did not place high importance on possessions. He grew up one of six children during the depression; a time when family supported and cared for family. I believe that is still evident in our family relationships today. I remember living in the big farm house and the huge red barn on the farm in Minnesota—Dad & Mom did not own the farm, rather they worked it for someone else. We moved to Douglas, WY, again working for another man, and lived in a true “Little House on the Prairie” setting! I think of a picture taken of us kids at Christmas time in which I don’t have any shoes on and I jokingly say it was because Betty & I had only one pair of shoes between us and that was her day to wear them! We kids never did without anything; Dad and Mom always provided for every one of our needs. When we moved to Casper, the six of us lived in a little two-room log cabin. By the time Cyndi came along, Dad & Mom had added one more room so now we had three rooms!! But, oh, all the memories made in that little house crammed full of family and love, are some of the best times we ever had and will stay with us forever. Dad’s sense of humor saw him through many challenging times. He loved to tease and pick on Mom. When Mom would get up from the table to get one more item of food, or help us kids, or clean up the milk one of us had spilled, he would grab something off her plate, hide it and play innocent when Mom wondered where it went; she’d figure it out the minute she stopped searching and just looked at Dad!! She finally got wise to his tricks! At one time or another, all of his family has been on the receiving end of Dad’s humor. When Dad was in the hospital, after he and the rest of us had agreed he was coming home with hospice care, Dad’s response to a nurse asking him how he was that day was, “Well, I’m still alive; I haven’t died yet!” Once in a while, Dad would laugh out loud, but normally he kept his laughter inside and his whole body would just shake with it! We thank God for Dad’s humor, because throughout our lives, it influenced how our family responded to difficult times and helped us through them. Dad’s love was unconditional. He never made us kids feel or believe that he only loved us when we did good things or were successful or minded him or made him look good. He definitely had his way of making sure we knew when we had not behaved properly or had done something wrong and we knew Dad was unhappy with our actions. But we also knew that in all circumstances, we would always have Dad’s love no matter what. Dad truly loved Mom and their marriage has been the example we kids all strive for in our own marriages. All through their married life, their love for each other was always evident. Even after 67 years, Dad & Mom still kissed each other good night every night and kissed each other goodbye each time one had to leave the other, even if it was to just go outside while the other stayed in. They still held hands when walking (or when Mom was walking and Dad was moving along in his wheelchair! ), still held hands when sitting beside each other in their separate chairs watching TV in the evenings. When they married, the two of them really did become one. And, even though Dad is gone now, he is still one with Mom because he is in her heart. Some of you never knew Dad but know about him because you know Mom or us kids & our families. Some of you knew him a long time ago but lost touch. Some of you knew him as the man who, with his wife and five children, came to church and always sat in about the 5th or 6th pew on the left side of the church every Sunday!! (And yes, that’s still about where I sit! Traditions—I love em!) Some of you are family and have always known Dad. Mom, Dave, Betty, Bob, Cyndi and I are thankful for each of you who were a part of Dad’s life, whether it was for a moment or for a long time, because each time you touched him, it made a difference and helped make him the Dad we love. It’s now over a hundred years since Cyril died near Nieuwpoort in Flanders, Belgium, on 24 July 1917. The story of his sacrifice is detailed in ‘Lancasters of Pateley Bridge’. But there is one new fact that has since come to light: the Army Register of Soldiers’ Effects records that £2 11s 4d was distributed to his father, Joseph Wilkinson Lancaster, and £1 5s 8d was due to Miss Marjory Swift, described as ‘Co-Leg’ (co-legatee). Marjory was born on 27 January 1897 (the same year as Cyril). She was the daughter of Charles Swift (1862-1934) and Lucy (née Cockerline) (1861-1952). Charles was the manager of a stuff merchants in Bradford and the family lived at 30, Ellercroft Terrace, very close to where Joe lived at the time in Legrams Lane. Marjory married Arthur Tinsley (at 10:00 a.m. states the register!) on Monday 23 June 1924 at Lidget Green, Bradford. Her death is recorded in the first quarter of 1980 at Bradford. There is an unfortunate error in the ‘Lancasters of Pateley Bridge’ on William George Luff. I wrote that he died in his early fifties. I should have written that he retired in his early fifties. He and Marjorie then moved to Switzerland. Will died on 14 December 1977, aged 71. My apologies to the family for this error. I shall update the book as soon as I can. My thanks to George, Will’s son, for pointing this out. I would like to thank all those who have commented so positively on my Lancasters of Pateley Bridge book. I’m delighted that you all enjoyed it. It was quite an experience writing and publishing the book and at times hard work. Your appreciation makes it all worth while. Thank you for your kind words. Smashwords conducted an interview with me following the publication of the ebook version. You can find it here. In it I explained a little more about the writing process and why I undertook the task in the first place. If you haven’t read the book yet, let me know what you think of it when you have! Lancasters of Pateley Bridge is now available, not just in print, but in multiple eBook formats. It can be read on virtually any eBook reading device. Not only that – you can also sample 20% or so of the book for free before you buy. Click on one of the links in the sidebar. Shortly before the holidays I was contacted by a descendant of the Binns family of Bradford, who had been notified of a ftDNA Family Finder match. The good news is that there is a match. The bad news is that proving the link through the records is not going to be easy. My link to the family is through my great-great-grandmother Ann Binns (1803 – 1868), who married Joseph Lancaster at Bradford in 1824. The Binns line is not well researched (why are there always dark corners in my tree where I’ve rushed by and not filled in the gaps?) but I believe that she was the daughter of David Binns (1784 – 1829) and Elizabeth Bottomley (1780 – 1862), who were married at Bradford Parish Church (St Peter’s) on 22 February 1803. Ann was baptised at the same church on 6 November 1803 (daughter of David Binns of Great Horton, comber). David Binns died in 1829 and was buried on 28 June. He was 45 years old and from Horton. That would make the year of his birth about 1784. There is a baptism on 16 May 1784 at Bradford St Peter’s for David, son of John Binns of Mann (Manningham), weaver. Looking more closely at the parish records, there are other children born to John of Manningham, weaver: Jonathan (1785), Ham (1786) and John (1788). They need chasing up too, although I know that Ham died in his first year. But who was their mother? There are marriages of John Binns aplenty at Bradford – Betty Harrison 1765, Hannah Myers 1771, Mary Hartley 1776, Elizabeth Ackroyd (or Akeroyd) 1782, Ann Harrison 1783, plus another 20 or so in the surrounding area during the same period. Which is the real John Binns? I’m no closer to finding how Joseph links in. Life has been pretty hectic recently, culminating in the publication this week of my book on ‘Lancasters of Pateley Bridge’. Most of the activity has been editing, a time-consuming activity contracted out to a professional, thank goodness, but which nevertheless created a seemingly endless stream of corrections and file versions that needed careful administrative skills (made worse because I wrote it in Pages, it was edited in Word, and I had to manually transfer all the corrections). I feel like shouting aaaaaaah!!!! at the top of my voice. It’s too much like work! I thought I had given up work…. Does anyone else have this problem? Or is it just me that’s too scared to load up Office on a Mac with El Capitan? Hazel Bird of Wordstitch did a remarkable job. After reading the proof copy I could only find a couple of errors and they were both my own fault. There was a full stop missing from a caption. (I’m sure that had been picked up and corrected before but there it is, laughing at me!) The general reader will never notice (?!?) so I did nothing about it. Hazel probably will notice it (I’m in trouble) but the worst thing is it will plague me every time I look at the book. One illustration was a bit fuzzy but it wasn’t critical, so I left it and pushed the ‘publish and be damned’ button. After voting for damnation, I spotted an organisation’s name (which was added after the editing had been done) with one word not capitalised. How did that happen? It’s too late now. Does every author end up screaming in the mad house? The worst is – I think I’ve gone extra-super-gaga from reading the text over and over and over again and again. A wheelwright fashions wheels; a cartwright makes carts; a shipwright builds ships; an arkwright builds ships of biblical proportions; a playwright writes plays. What does a lancasterwright do? As a chip off the old block, I really am a worker, just like my father and his father before him. I should like to think of myself as an artisan, a constructor, a maker of things, a craftsman. This lancasterwright makes Lancasters (those with the surname Lancaster) or rather, re-makes them from whatever evidence of their lives survives in records. You could call me a biographer if you prefer Greek etymology – someone who “graphs” (draws or writes) about the “bios” (lives) of Lancasters. Lancaster is generally thought to derive from the settlement of that name, i.e. someone who came from Lancaster. “Lan” comes from Lune, a river in northwest England, the name of which is of Celtic origin meaning “healthy” or “pure”. The second part of the name “caster” is from the Latin “castra”, a camp or fort. So my ancestors were from a Roman fort on the side of the River Lune. Well, that’s the assumption. It seems likely enough. It is, however, the name of the royal house that ruled England in the first half of the 15th century, the heirs of John of Gaunt, 1st Duke of Lancaster. The Duchy held lands across England, including the Honour and Forest of Knaresborough in Yorkshire. These lands lie in the valley of the River Nidd; and Nidderdale was the home of ‘my’ Lancasters. Is there a connection? I doubt they were related to the royal house (the DNA evidence points to a Celtic ancestry) but perhaps they worked for the Duchy as bailiffs or foresters. They certainly had connections to the Royal Foresters in the early 19th century. But that’s another tale….